Eagle Strike Decals. Cutting Edge. Helpful Links. Bob Smith Industries. Master Model. Mantis Miniatures. Failure to comply with this will result in unpaid item filing. Yahu Model. Star Wars Collectibles. Eagle Strike Decals. Cutting Edge. Helpful Links. Alliance Model Works. Star Decal - Bison. Friul Model. Tiger Model Designs. 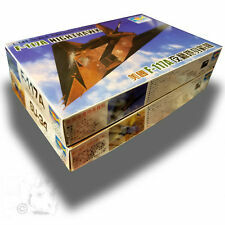 1/32 TRUMPETER REPUBLIC F-105G WILD WEASEL 02202 2003. Parts are all sealed in original plastic. Parts included are Pratt & Whitney J75P-19W afterburning turbojet. See Photos. Box Not Included. Panzer Art. TAHK / TANK. Eagle Strike Decals. Cutting Edge. Helpful Links. Bob Smith Industries. Master Model. Mantis Miniatures. Paragon Designs. 1:1 Scale Weapon Models. Bob Smith Industries. Hobby Boss. Super Scale Int. Alliance Model Works. Reality In Scale. Tiger Model Designs. 1/32 TRUMPETER F-14D SUPER TOMCAT #03203 - 2009. BOX NOT INCLUDED. LOWER FUSELAGE. You are responsible for these fees and they will NOT be reimbursed. Parts included are 2ea Junkers Jumo 004 B-1 turbojet engine. See Photos. BOX NOT INCLUDED! You are responsible for these fees and they will NOT be reimbursed. 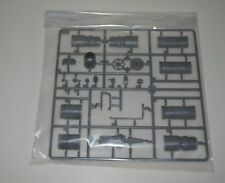 Unassembled 1/550 scale plastic model kit by Trumpeter. 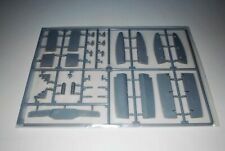 #05207 USSR Aircraft Carrier Kiev. The kit features relatively simple construction, deck detail, 12 fixed wing aircraft, 4 helicopters, a display stand, authentic decal markings and instructions. 1/48 U.S. NAVY PANTHER. Decals for 3 US Navy aircraft in overall Sea Blue kit features. U.S. ARMY P-40 HAWK H-81A-2(AVG) FACTORY SEALED 1/48 TRUMPETER #05807 wP/E NICE! FACTORY SEALED TRUMPETER #05807 1/48 H-81A-2(AVG) U.S. ARMY P-40 HAWK. Decals and 4-view color painting reference for (3) aircraft: R.T. Smith, P-8173, Flight Leader 3rd. Fossileyes' Factoids;"Plastic model kit of the de Havilland DH.110 Sea Vixen, a British twin-engine, twin boom-tailed, two-seat jet fighter flown by the Royal Navys Fleet Air Arm during the 1950s through the early 1970s.